I am about to go back to my past. I am preparing to return to my musical alma mater, The Juilliard School. I graduated from Juilliard many years ago with two degrees – majoring in piano performance. But I also joke with people that my “minor” was in performance anxiety. Because of – of despite of – my stage fright, I was able to pursue my dreams to become a performer, although when I was a student, performance anxiety remained a closet topic. I thought I was the only one in the entire School who struggled with it. No one admitted their performance nerves. I learned later how wrong I was about that!! At the time it was a mystifying and painful experience for me. I practiced, I had talent, I was a very good pianist – yet something interfered with my confidence and enjoyment when on stage. Fast forward – as one can do with time capsules – having pursued further education at the University of Michigan and The Michigan Psychoanalytic Institute, I now treat people who struggle with performance anxiety and also other concerns regarding relationships, careers, self-esteem, general anxiety and depression. In my years at Juilliard, I never ever would have predicted that I would become a therapist and psychoanalyst. I also have found enjoyment through writing and presenting on performance anxiety and the intersection of music and mind. Now I am preparing to return to Juilliard (by the time you read this, this event will have occurred and I’ll tell you more about that in a future blog). But I am going back as an author – a psychoanalyst and psychotherapist. I am doing a book signing in a place where I used to perform on the piano and aspire for a career on stage. And to top it off – unlike required years ago when I applied to Juilliard – I don’t have to audition to get into the school. I was invited back. All of this makes me very nostalgic and think about my years studying at Juilliard and afterwards. It’s a time warp – a time capsule – that evokes a lot of memory and feeling. It feels long ago and very current. Who ever would have predicted that I would not pursue a performing career? 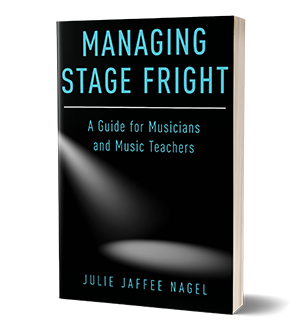 Who ever could have imagined that something like stage fright, so painful and mystifying, would be the trigger for a career change that has brought great satisfaction to me as a way to help for others? Who ever would have believed I would write a book, “Melodies of the Mind”, and return to Juilliard for a book signing there? Surely, I would not have imagined this in my wildest dreams. If there is a message in what I am telling you, it’s to believe that all your life experiences, even the painful and confusing ones, have meaning. It’s a cliché to say you can turn lemons into lemonades, but you can. Keep your options – and your eyes, ears, and attitudes – open. You never know what is in your time capsule right now.